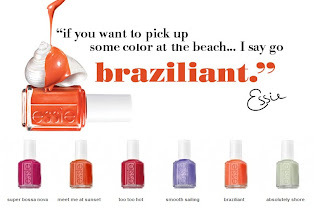 Kayla Shevonne is giving away the ENTIRE Essie Braziliant collection! How cool is that? 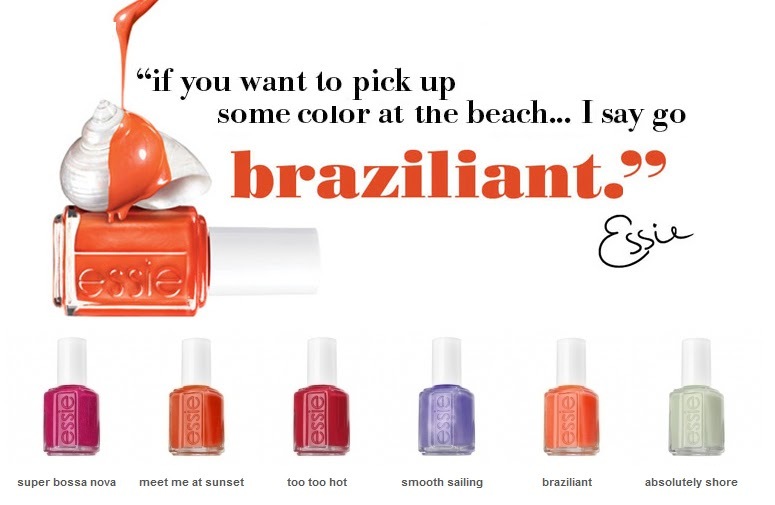 Essie polishes always go on easily, look great and wear really well. This collection is full of gorgeous hot colors (and one pretty pale green). Read Kayla's review of the collection here. This was purchased in the mid-1980's. The case is hard plastic and slides open like a drawer instead of in the more common clam shell operation. Inside are two small pans of blush that can be used together or separately. The bright pink First Blush always scared me, so I tended to use the much tamer Honey Blush by itself. Both blushes have medium pigmentation and are a touch powdery. They do blend well and look natural on as long as you use a light hand with the brighter one. This is a gorgeous eyeshadow duo I bought in the mid-1980's. The compact is plastic, with the Lancome logo on it. It contains two smallish wells of pressed powder eyeshadow. Both shadows are still a nice consistency depite their age, and haver a shimmery finish. These shadows have great pigmentation and apply smoothly. I'm amazed at how well they perform given how old they are. They are a bit on the bright side, but if you don't want to go full-eighties in your look, they can be applied sheerly or used as accents in a more neutral eye. Jen is giving away a bottle of Wild Child by Opus Oils at her perfume blog, This Blog Really Stinks. 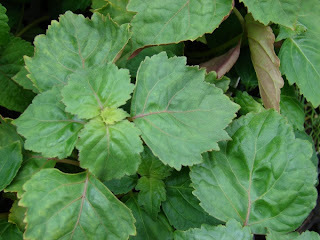 This was the winner of Perfume Pharmer's Summer of Patchouli Love contest, and it sounds really delicious. Jen sure loved it! Hurry over and enter, because the contest closes Friday, 8-12-11 at midnight EDT.